It’s not always easy to know how to be successful with a real estate sale in Omaha, NE, especially when you’re selling your house when you need to relocate in Omaha, NE quickly. But there are some tips and suggestions that you can follow when needing to sell your house fast in Omaha, Nebraska that will lead to a successful sale. In this post, we will offer some suggestions for putting your house on the market in Omaha, finding a buyer fast that will be interested in your home, and closing the deal as fast as possible. First, make your house as beautiful and presentable as it can possibly be. The first impression means everything when showing your house to a potential buyer. When it looks attractive and beautiful to your potential buyers, you won’t have to work as hard at convincing them that it is a great home. When selling your house to buyers, be proud of your house and explain to the buyer why you need to sell your house quickly in Omaha, Lincoln or Council Bluffs. Then they won’t think it is some other nefarious reason. Tell them that due to a job or relationship change, you need to move fast and therefore, you cannot afford to wait to sell. Think like the buyer and consider all of the costs they will have to deal with when purchasing your home in Omaha. Expenses such as property taxes, clean-up costs, or moving expenses, to name a few. When you consider the other expenses outside of the price the buyer will pay for your house, you may be able to strike a deal faster with a buyer when trying to sell your as fast as possible in Omaha. When trying to find a buyer in Omaha, compare your home to those in your local real estate market and price your home more competitive than the other comparable houses. When you don’t ask for too much, you will increase your chances of closing a deal much faster than if you asked for what you would want for your house ideally. Remember that, if you’re needing to move fast in Omaha, you cannot afford to sit and wait for your house to sell. Some homes stay on the market for years. 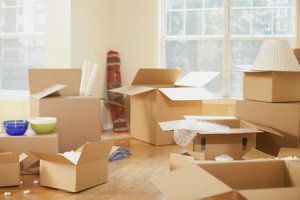 If you have a new location that you must move to quick, you’ll have to settle for a little less return on your investment than if you had all the time in the world. Much of the real estate sales experience has to do with getting to know your buyer in Omaha. The more you can connect to the buyer, the more likely it is that they will do business with you. In this way, the real estate business is no different than any other business. People are more likely to deal with people they like and whom they trust. CALL US AT 402-939-6556 OR FILL OUT OUR ONLINE FORM.